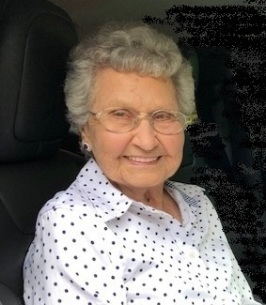 Reva Edens, 89 years old, of Elkview, passed away after a long illness on September 11, 2018. She was born in Frame, to the late parents Sigel & Eva Moore. She was a retiree of Singer Sewing Machine Company. As her children were growing up, she served as a Kanawha County School Cook & Aide at Frame Elementary School, as well as a 4-H leader. She was a vital part of her community by serving as part of Frame Volunteer Fire Department Ladies Auxiliary. Reva was known by many as one of the best cooks around. She cooked many meals for those that visited her house, and nothing seemed to compare to her home cooking. 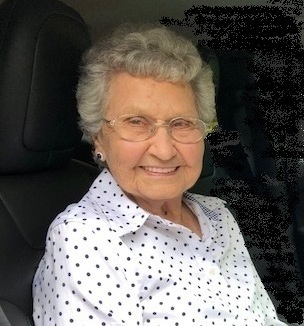 She was an avid gardener who loved working outside, planting flowers, and even had a weed-eater in her hand at the age of 88. Sewing and quilting were her past time hobbies. Reva was a loving, caring person, who always did for others before she did for herself. She is also preceded in death by her husband of 68 years John Edens; siblings, Clyde Moore, Ivan Moore, Thelma Moore, Ivy Stahley, Opal Whiting, and her son David Edens. Reva is survived by her daughters Diana Fraser of Dry Fork, & Debbie (Jim) Fields of Elkview; grandchildren, Allen Edens, Christina (Jason) Beckman, Jonathan Fields, Eric (Christina) Fraser, Stephanie (Josh) Petry, Kelsey (Rob) Burch; great-grandchildren, Hunter Edens, Logan, Caleb, & Josie Beckman, Emma Petry, & Lila Fraser; a host of nieces, nephews, and many other family and friends. The family would like to thank Fresenius Kidney Care, Charleston Internal Medicine, Kanawha Nephrology, and Charleston Heart Specialist for their compassion and care through the years. A service will be held 2:00pm, Saturday, September 15, 2018 at Hafer Funeral Home, with Minister Danny McClung Officiating. Burial will follow in Elk Hills Memorial Park, Big Chimney. Friends and family are welcome for visitation from 12p - 2pm. Arrangements are in the care of Hafer Funeral Home, 50 North Pinch Rd., Elkview. To send flowers to the family of Reva Marie Edens (Moore), please visit our Heartfelt Sympathies Store. We encourage you to share any memorable photos or stories about Reva. All tributes placed on and purchased through this memorial website will remain on in perpetuity for future generations. I am truly sorry for Reva's friends and family, my deepest condolences. Losing someone in death is one of the hardest things we will face in life. There is a truly comforting promise at Acts 24:15 "And I have hope toward God, which hope these men also look forward to, that there is going to be a resurrection of both the righteous and the unrighteous." Imagine that day when all our dear loved ones are resurrected and reunited with us forever again. How we long for that day.